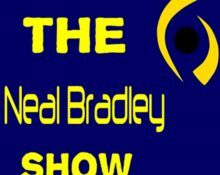 An early post for Thursday’s show with breaking news for Murray State men’s basketball from the Paducah Sun’s Ed Marlowe, who also talks Racer football, soccer, volleyball, and women’s golf as well as OVC football. FiveThirtyEight.com contributor Josh Planos talks Tiger Wood, the Ryder Cup, college football and NFL football. Neal recaps the weekend that was in regional sports, and previews this week’s OVC football schedule. The Paducah Sun’s Ed Marlowe talks Murray State sports, tonight’s key high school games, and the Sun’s Alumni Series articles. Voice of the Calloway County Lakers, Blake Bernier, previews the week of high school football and NFL games. Neal looks back at the Racer game at UK, the week that was in the OVC, and the opening week of league play, plus a regional sports update. Neal previews the OVC games this week, thanks to information provided by Kyle Schwartz at the OVC office. The Paducah Sun’s Ed Marlowe talks Racer football, soccer, volleyball, and golf…plus high school football. FiveThirtyEight contributor Josh Planos discusses week 1 of the NFL, last week’s and this week’s key college football games, and his article that drops on Friday on The Fight of the Year.